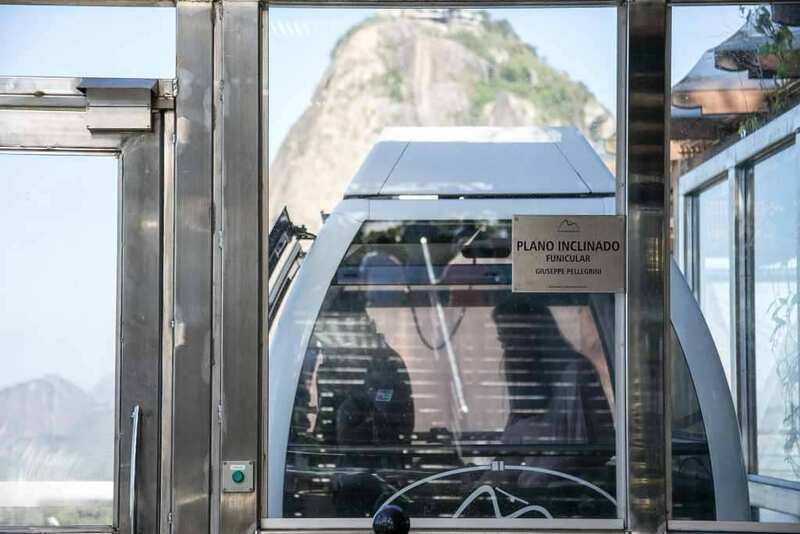 See how to get to the most famous landmark in Rio de Janeiro. Plan your route by bus, car, subway, bike or on foot. 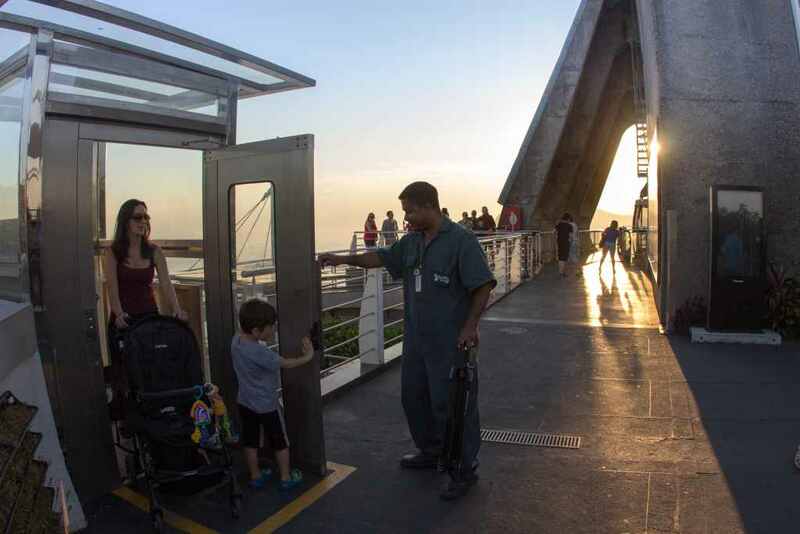 Visit Sugarloaf Cable Car without any worries. Our place is equipped with adapted toilets, ramps and elevators, making tourism accessible to people in wheelchairs and mobility impairment. Plan your visitation safely and don’t deal with any unforeseen events. To leave children alone. Pay attention throughout the whole ride as a safety measure. To take short-cuts while on track damaging the vegetation around. To hold fire arms or sharp objects. To carry professional cameras without previous authorization from the marketing department. To plunder the environment and landmarks. To listen to music too loud. To wear bathing suits or taking your shirt off. To deface rocks, trees or buildings. To eat or drink inside the cable cars. To ride the cable car with large suitcases or purses. To clean yourself (bath) inside the bathrooms in the touristic complex. To carry a large-sized tripod. To use a drone without previous authorization. To walk around wearing costumes. To ride your skate, scooter or roller skater inside the complex. To enter with a sunshade and beach chair. To enter with a cooler. 1. Is buying on the internet cheaper? Yes, tickets can be purchased at the official website of Bondinho with 10% discount, as well as in the self-service. 2. I don’t want to go anymore. Can I return my ticket and get my money back? No tickets will be returned due to waiver. This will only occur in the event of technical failure of the cable cars..
3. Can I buy tickets for another day in advance at the ticket office? 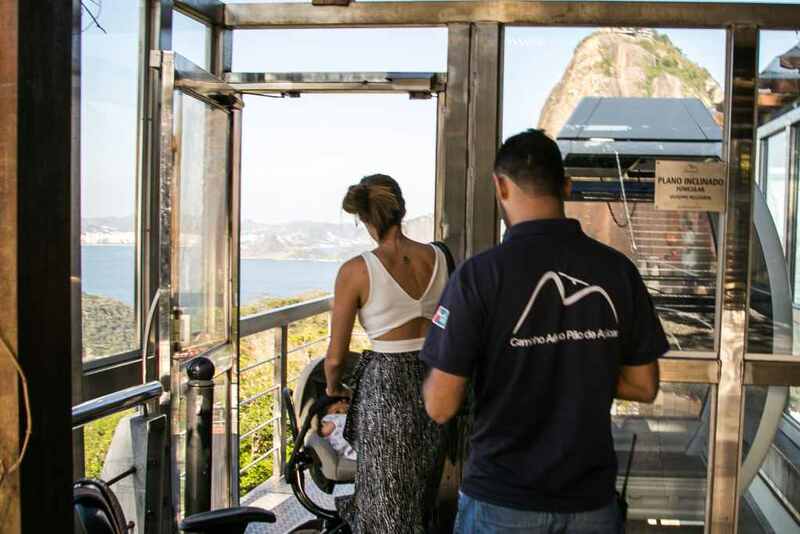 The tickets sold at the ticket offices located in the Sugarloaf Cable Car are only valid for the day of the purchase. Purchases for other days are only available online. 4. Is my ticket only valid for the selected day for the tour? No. The visitor may attend the tour up to 4 days after the selected date for the tour. 5. Who is entitled to the 50% discount policy? The 50% discount policy is applicable to: elderly people from 60 years old, people with disabilities, students and people from 13 to 21 years old, ID Jovem, Employee/ Teachers of the Municipality RJ. 6. Which documents are accepted as half-price entry proof for elderly, teenagers and PwD? PwD and companion – Official printed identification document with photo (or certified copy), accompanied by Special Card, Rio Card, Vale Social, Federal Pass, CRAS or printed medical report (original or certified copy), issued by a public health organization. It is important to highlight that we do not accept documents in cellphones, tablets or notebook. 7. Which documents are accepted as half-price entry proof for students? Public Schools: Presentation of the official printed identification document, with photo (or certified copy), accompanied by: RioCard School or printed document proving student enrollment, within the validity period. Private Schools: Presentation of the official printed identification document, with photo (or certified copy), accompanied by: Payment ticket to the institution of the current printed month or printed document proving student enrollment, within the validity period. 8. Which documents are accepted as half-price entry proof for ID Jovem? People aged between 15 and 29 years enrolled in the Brazilian Federal Register for Social Programs (“Cadastro Único para Programas Sociais do Governo Federal”): Presentation of the ID Jovem, accompanied by an official printed identification document* with a photo (or certified copy). 9. Which documents are accepted as half-price entry proof for - Employee/ Teachers of the Municipality RJ? Teachers and Professionals of the City Public Education Network of Rio de Janeiro: Functional Portfolio issued by the Municipal Education Department, accompanied by an official printed identification document* with a photo (or certified copy). 10. What are the payment methods accepted at the ticket office? Hipercard, Aura, PLENoCard, Brasilcard, Bradesco, Itaú, Banco do Brasil, Banrisul, HSBC, oi Paggo, PagSeguro. 11. What payment methods are accepted on the official website and self-service? Site: Cards: Visa Crédito, MasterCard, AMEX, Elo Crédito, Elo Débito, and bank payment slip for purchases over R$80,00 (eighty Brazilian reais). Self-service: Visa Crédito, Visa Eletron, MasterCard, Maestro, AMEX, Elo Crédito, Elo Débito. 12. Is it possible to pay for my ticket in installments? Yes, on the official website and self-service. Two hundred Brazilian reais (R$ 200,00) purchases in two installments, three hundred Brazilian reais (R$ 300.00) purchases in three installments, four hundred Brazilian reais (R$ 400,00) purchases in four installments without interests. 13. is there any parking lot at the location? The Sugarloaf complex does not offer any private parking lot. However, there is a public revolving parking lot (charged) monitored by the City Hall. 14. Is there any locker at the location? No. The Sugarloaf does not offer any locker room service. For a calm ride without any setbacks, we suggest you to refer to the regulations and see what you cannot take with you. 15. What is the capacity of each cable car? 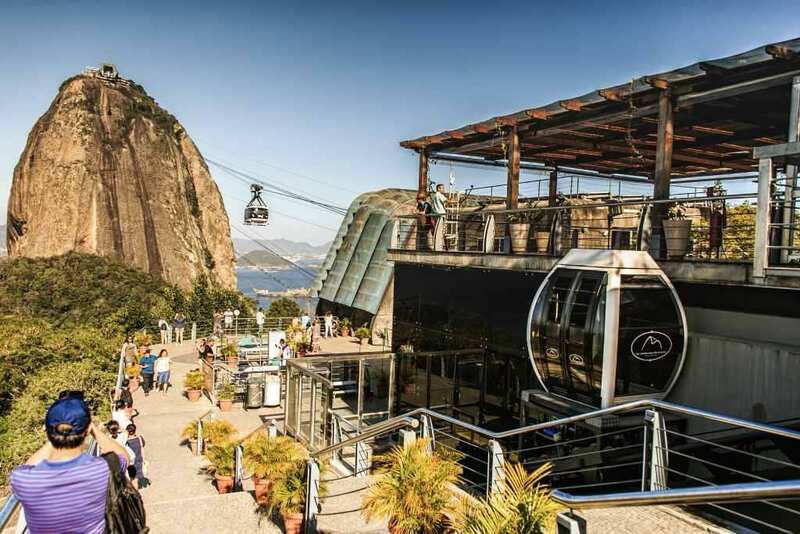 The Sugarloaf Cable Car accommodates up to 65 passengers. 16. Is the ride suitable for children? Yes. There are no restrictions. All ages are admitted; however, we suggest responsible adults not to ever let the children unaccompanied during the ride. 17. Is there any discount policy for groups? No. Unfortunately, we don’t grant discounts for groups. 18. Is there any discount policy for birthday occasions? No. Unfortunately, we don’t grant discounts for birthday occasions. 19. Is the ticket valid for more than one trip throughout the day? No, your ticket is only valid for only single ride. 20. Do I have to validate my ticket bought online? Yes. It is required to validate the tickets bought online at the validation desk before boarding. 21. Is the ticket valid for the entire ride? Yes. Your ticket bought at Praia Vermelha at of self-service totems and the official website (PRAIA VERMELHA X MORRO DA URCA X SUGARLOAF). Exclusive transport service for visits, with easy access and special treatment. Price upon request. 22. Is it necessary to print my ticket? No. You must wait for the confirmation e-mail for your request, then issue the e-ticket and going to the tour using the mobile phone.